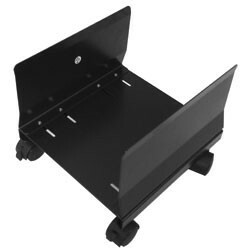 This sturdy CPU holder provides mobility and gets the CPU off the floor and away from dust. It adjusts up to 9” W which accommodates most CPU towers, including the Apple Power Macs. Steel construction with ABS plastic wheels (2 locking), and is retro-fittable. 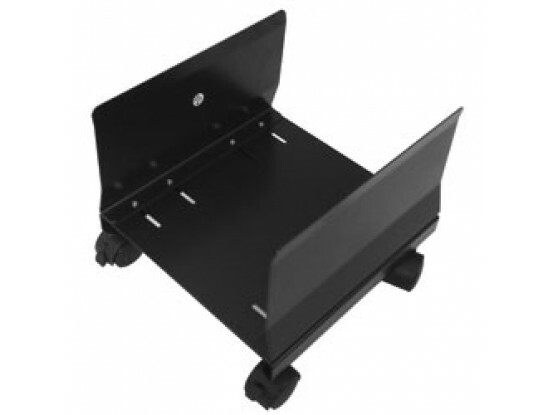 Size: 10"W x 11"D. Use with any desk, and is an alternative to the leg-mounted version for XO2Plus/Flexo/Flexo Level3 and electric Maxo/Multi/Pro desks. Charcoal grey to match desk frames.